Anyone can be a leader in the Nacho Army. It’s true, anyone can achieve leader in the Nacho Army. 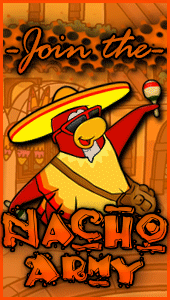 Whether you’re new, or whether you’ve been here for all 10 years of our existence, ANYONE, AND I MEAN ANYONE can achieve Nacho Army leader. 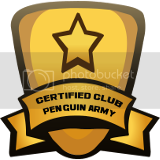 The Nachos aren’t like a lot of other armies.. As of now, we are the only army within club penguin that doesn’t hire for owner. Every Nacho on the ranks earned their rank. Everyone. Kevin/B Batman3 [THAS ME!!! 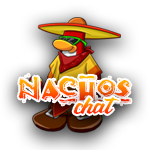 ]- I joined the Nachos for moderator in late 2014, and I worked my way up to 3ic in March 2015. In June, I was promoted to Nacho Army 2ic, and finally in late July I was made leader of the Nacho Army. Dan101/Akabob223- He’d been in the Nachos prior, but joined seriously in late 2014, just like me. He achieved owner a little bit before me, and was also promoted to 2ic in June. He was promoted to leader in late September, 2015. Stone523- Stone is the best example of them all. Stone joined the Nachos in mid march 2015 as a very low member rank. He began to attend events like an ordinary soldier, and got to high member around May. He then started making his way into the moderator ranks in June, and proved his loyalty in the Pretzels/Nacho war in the late summer. In October, Step up646 promoted Stone to owner (the one good thing he ever did). Stone proved himself a recruiting machine and a skilled tactical leader in December and Dan/I decided to promote him to leader at the spark of the new year. Ever since, Stone’s proved himself a better leader than myself, and in my opinion, 75% of the community’s other leaders. Agent233- Agent joined the Nachos for moderator in April 2015 after departing from the Air Force/Water Ninjas. He was promoted to owner in June 2015, and was promoted to leader at the same time as me in late July 2015. He stepped down from his position in November, but still remains a great 2ic of the army. Legofan Cy- Lego’s been in the Nachos since October 2014. He earned highest moderator in April 2015, and owner in July 2015 as an Ausia leader. Although he was originally a really annoying person, he proved to be a clever tactical leader and great poster. He like Stone started off from the bottom of the ranks and is nearly a leader as of today.